View cart “U.S. Local Advertising Forecast 2019” has been added to your cart. The smartphone has revolutionized advertising and consumer buying. But many businesses are still operating with a desktop mindset. The next era of local mobile and local social will be defined by location-based marketing and native-social and multimedia, not banner ads and traditional search. Identify the opportunity in the 2019 U.S. Local Advertising Forecast: Mobile and Social. It provides a complete overview of paid U.S. local advertising for local mobile and local social. It includes a five-year national overview of total U.S. spending in local markets and market-based advertising revenue estimates. The forecast provides 360-degree view of the market for local mobile and social advertising spent by national, regional and SMB advertisers to target messaging to specific geographic markets. 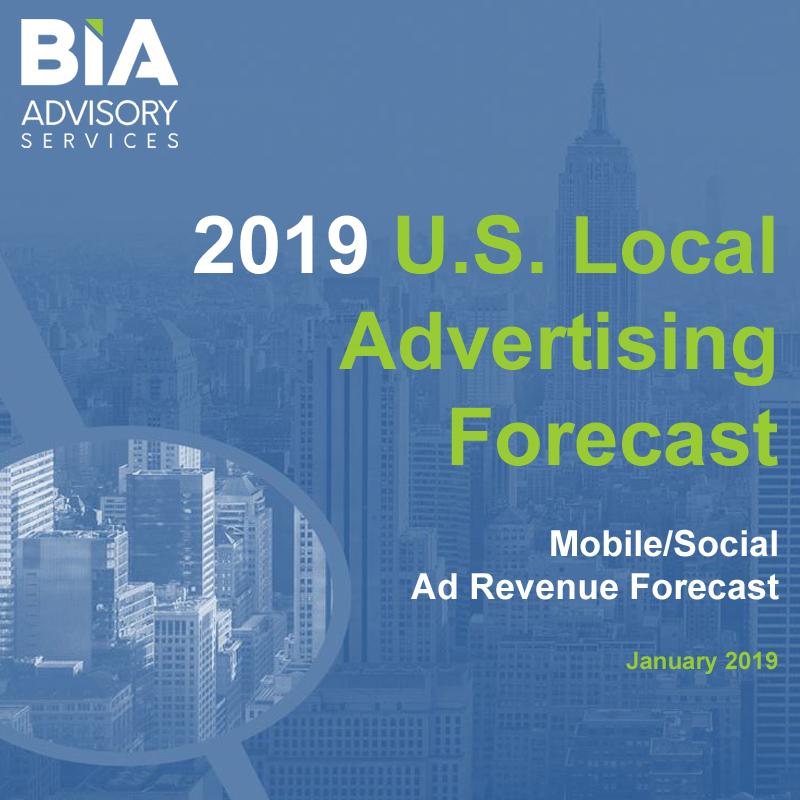 The 2019 U.S. Local Advertising Forecast: Mobile and Social delivers a five-year national overview of total U.S. spending in local markets. BIA defines local advertising as all advertising platforms that provide access to local audiences for national, regional and local marketers.